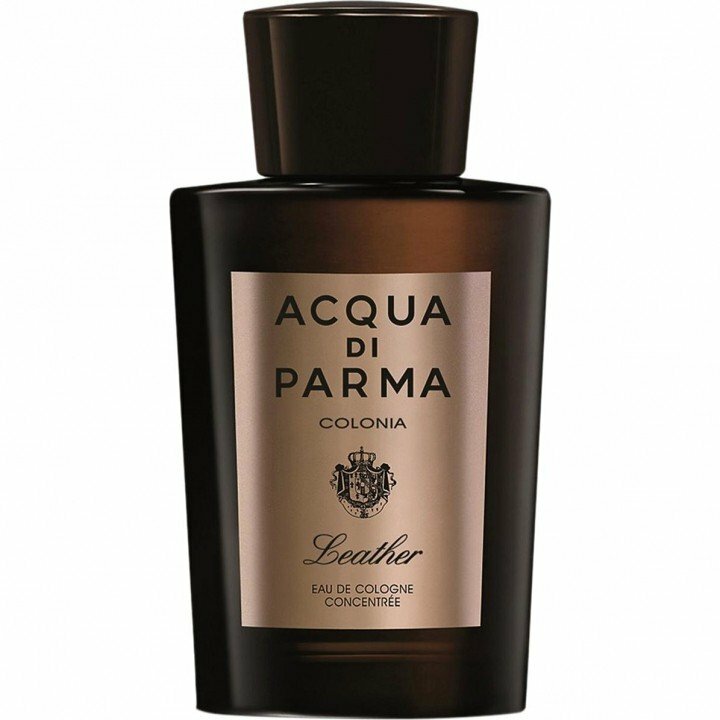 Colonia Leather is a popular perfume by Acqua di Parma for men and was released in 2014. The scent is leathery-woody. It is being marketed by LVMH. I've had it for about 2 months now, and can now say the following about it. As the clearest characteristic, I have to say, the unbelievably long durability of this fragrance made itself felt with me. Correctly dosed, the good one remains at my side for 12 hours. After a few hours, the fragrance unfolds a distinct smoky note, while the leather gradually fades into the background. At the beginning he still appears bright and his mood turns tame very soon and he becomes dark and provocative. Not necessarily only for the winter suitable, but in the high summer I will push it in my collection to the back. All the greater the pleasure when you smell it again after a few months and briefly awaken the memories that slumber in it. A must for my collection, whether it is due to my love for the good Acqua di Parma fragrances I can not judge - I am so to speak biased. It is definitely worth it, and is a real experience. Maybe he was lost, the Ford, Tom Ford, looking for Tuscany. Perhaps instead he had landed in Parma, in the plain of the Po, and had smelt it there, the leather that was to become world-famous afterwards. And it sounded better too, admittedly, Tuscan leather, "Tuscan Leather", better than Parma leather or something. Who wouldn't have thought of ham, the delicious ham of the region, which I love on the plate, but less on my skin? Yeah, maybe it had been that way, that way or something, who knows. It was dark, that leather, smoky and oily and coarse, as it went up Tom Ford's nose in some tannery. It also smelled a little dirty how men sometimes smell when they work with their hands, with their muscles, with tools and dust and stone. He captured this, the Ford, and filled it into bottles, mixed with herbs, wood and fruit, which underlined the black, emphasized the astringency and at the same time lent soul to the roughness of the cowboy. That was new, that was exciting, that conquered the world - and many, many followed him, the Ford, on his way, the leathery, the smoky one, whether he started in Tuscany or southwest of the Po. There it took a few more years until the signs of the times were understood, until "Acqua di Parma" took on the leather, the still black, still coarse, which was still so masculine that women rather kept their distance, loved it more by (foreign?) men than on their own skin. The boys and girls of "Acqua di Parma" made the leather a little lighter, a little finer, gave it transparency and - yes: decency. Where the forefather is loud, noisy and clumsy, where he fills entire rooms with his presence, "Colonia Leather" holds back almost nobly, surrounds the wearer, the wearer with a dark aura that is clear and perceptible, but never loudly rumbles. The leather's roughness is tanned, the blackness nestles up velvety, the smoke doesn't take my breath away anymore and lets go again after a good handful of hours, instead of putting me in leather shackles like the knight Ford until the day after next. Today you have many options to choose a leathery perfume. When You look around bitter leathery perfumes, you found some perfumes that are very similar at first glance. maybe "Tom Ford - Tuscan Leather" is the most famous of them. Most of them use a combination of leather and saffron along with third element. finally, they have smoky smell of leather that balanced with third element. and we saw a lot of special good perfumes in this race that made for use at "night out" and "business". "Colonia Leather" started with a very different and well-made scent of leather. A natural smell of leather without any gasoline smell, very close to leather jacket smell. I really like it. Maybe after a while, you feel like when wearing a dark and heavy saffron-leathery perfume. but don't worry, It is not like them. In this case, the second element is not saffron, that is "Gaiac Wood". and the third element is "Rose". The leather wants to going into dark and heavy smell, but the rose stop it. this is the point that made it different from other. Of course it is one of the best choice to wearing by women. "Colonia Leather" have innovation in this group of scent. I believe "Acqua di Parma" do it well.